Legacy Leadership Applications are now closed. Please check back for your opportunity to apply to become a Legacy Leader! 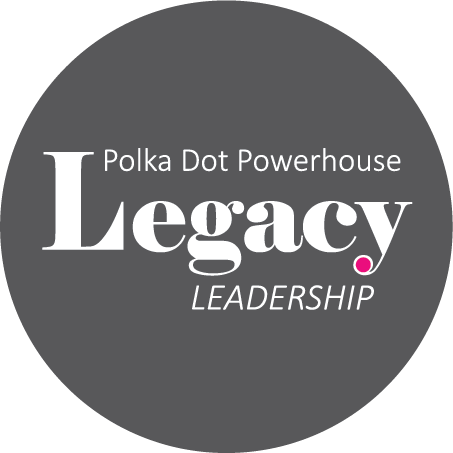 Legacy Leaders are the front line of Leadership of Polka Dot Powerhouse. The purpose of Legacy Leadership Immersion is to have an ongoing and diverse group of loyal, longstanding PDP leaders to help with projects, committees, and receive priority advancement status on future paying Company Leadership Positions* based on availability. By having all Company Leaders become Legacy Leaders and experience Legacy Immersion, we ensure all leaders on the front lines of our company fully understand our history, our mission, our future and what sisterhood truly looks and feels like. Why apply to become a Legacy Leader? Apply by deadline of Monday, January 15th, 2018. A multi-level interview process will follow with NO MORE THAN 15 new Immersion participants being accepted per year. Our selection committee will be selecting our Legacy Leaders no later February 15th, 2018. An immersion project in your area of interest must be completed by deadline. Attendance and completion of the Legacy Leadership Immersion Weekend** in Chippewa Falls, WI on August 3-5, 2018. (**$299 registration fee for Immersion Weekend required. Price includes accommodations, food, all trainings and activities, surprises, and graduation). Travel expense not included. Must serve in an active PDP position (committee, leadership, or otherwise) until an ideal upper role with PDP is available and found for them. Event attendance at Leadership Day and Celebration each year, unless absence reason is approved by Shannon Crotty. Yearly Company review and yearly Leadership contract. *We reserve the right to fill any needed Company positions outside of the Legacy Team, if ideal applicant does not exists within the Legacy Team. All company positions must complete The Legacy Leadership Immersion at the next offering.